If learning to paint is on your list of unrealized dreams because you felt intimidated by the process, overwhelmed by the complexity or you simply never had the time to pursue this enriching creative outlet, NOW is the time to enroll in a class with Nic! 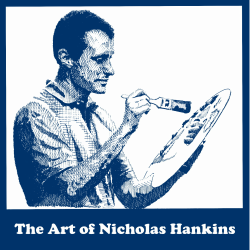 With 25 years of painting experience, Nic can guide you step-by-step to the completion of your very first oil painting or assist you in fine-tuning your artistic skills. Imagine what YOU can do! Check out the Workshops & Events page for a selection of upcoming classes and discover the Joy of Painting®.